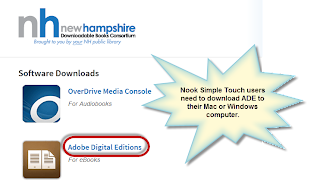 Note: Nook HD and Nook HD+ users must use the OverDrive Media Console app found in the device’s app store. These devices are not compatible with Adobe Digital Editions. 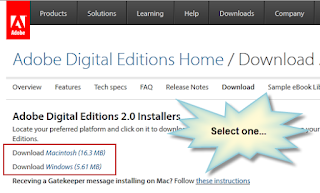 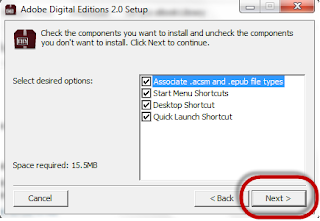 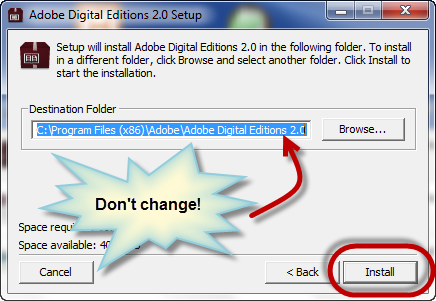 A new tab or browser window will open and you'll be taken to the Adobe Digital Editions site to download the software. 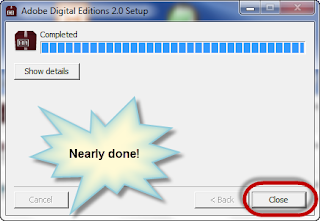 On Firefox, you'll be prompted to save the file. Once the file is downloaded, find the download and run the installer. Don't change the installation location! 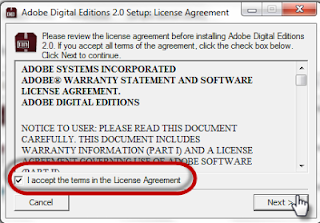 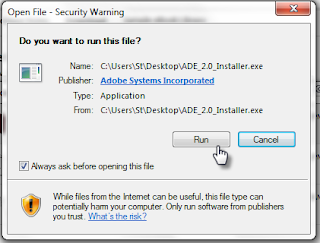 Now you'll need to register the software with an Adobe ID. If you already have an Adobe ID, enter the information now. 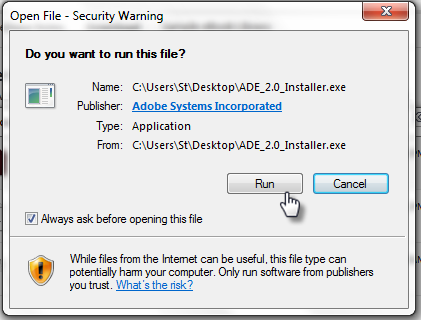 If you need an Adobe ID, follow the provided link to get one. 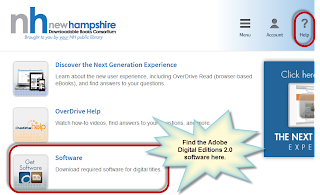 It's free and easy! 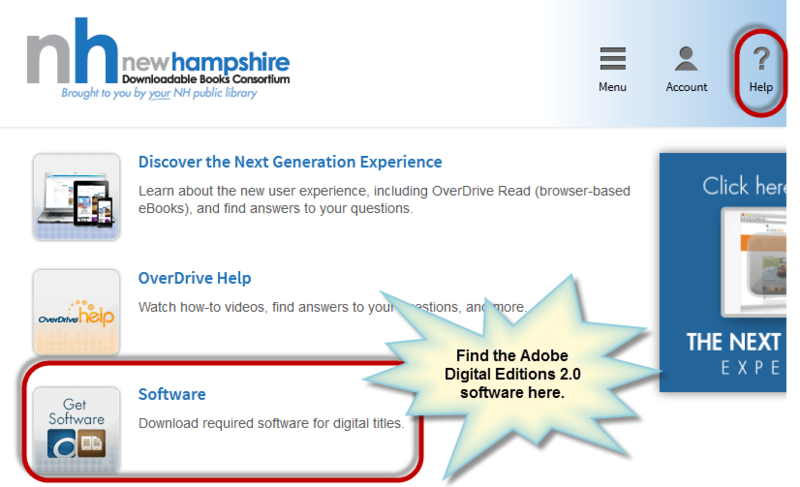 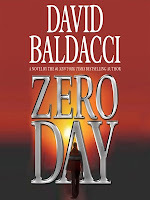 You are now ready to start downloading Adobe EPUB and Open EPUB eBooks from the New Hampshire Downloadable Books site!